As you complete this month's Heart of Young Living photo challenge, it is my prayer that you find balance and growth in the areas of Faith, Field, Finance, Fitness, Fun, Friends, and Family. This month we will celebrate Mother's day. Mother's are the heart of the home, and I am so thankful that Young Living has given me and other mothers the opportunity to work from home. 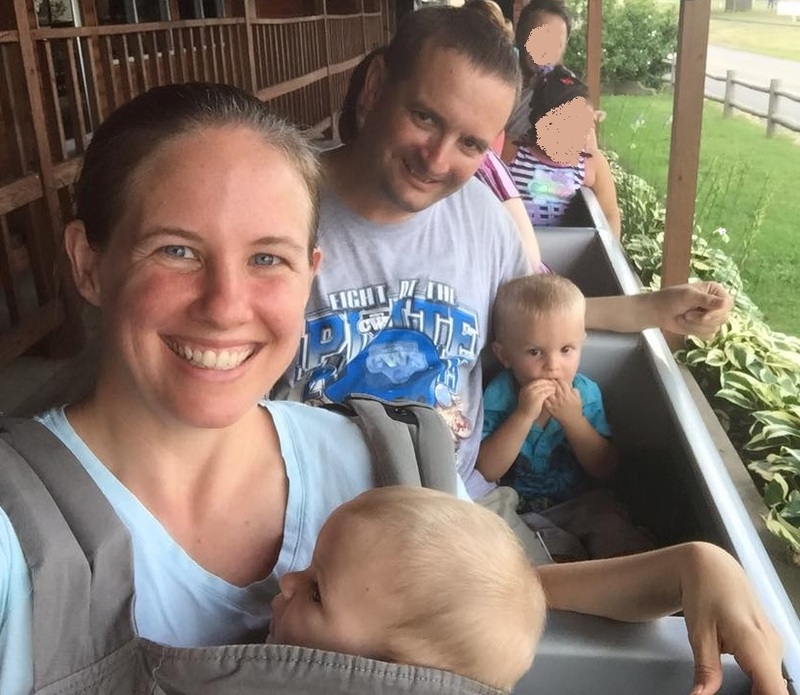 Not only that, but Young Living created the KidScents products to enable me to tenderly care for my children. Young Living even takes notice of the furry family members (big and small) and developed a whole Animal Scents line of products. Their products are pure, potent, and versatile. I am so thankful for their Seed to Seal promise and their responsible stewardship of God's plants and trees. 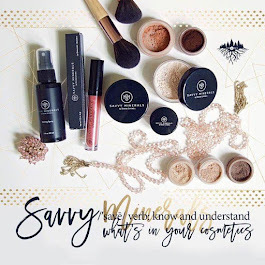 Gary Young knows the amount and quality of soil, sun, and rain matter, and has committed his life to bringing us the best essential oils in the world. Young Living owns farms not only in the United States, but all over the world! Everywhere Young Living goes they devote time and resources to improving the lives of impoverished families through it's charity Young Living foundation. It is part of their mission and mine to educate and inspire others to wellness, purpose, and abundance. Their vision is for every home to experience the life-changing benefits of essential oils. Whether you are cleaning, cooking, ore relaxing you can be supported by the pure power of nature. 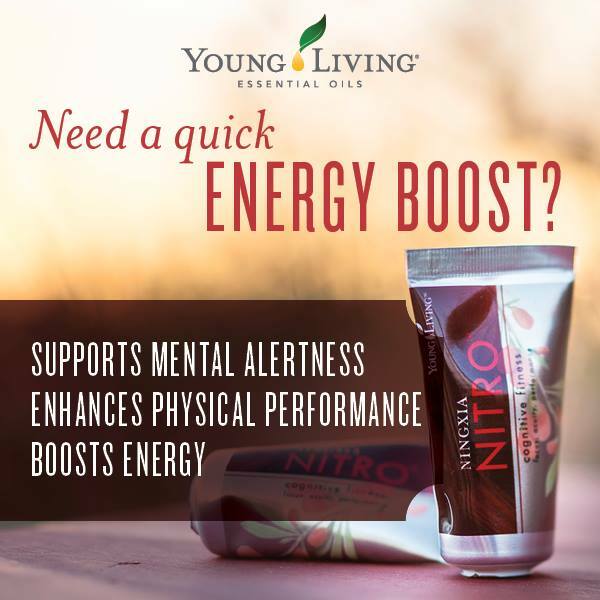 Even in times of joy and in times of grief and remembrance, I can count on Young Living's superior products for emotional balance and support. You'll find so much more than products with Young Living! 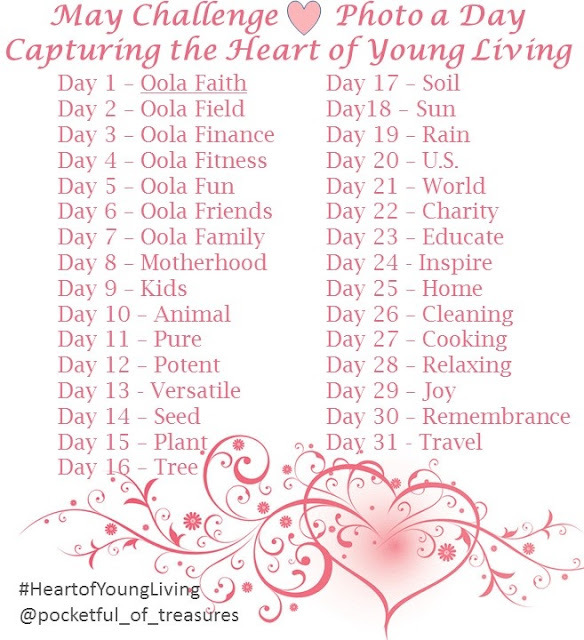 How it works: Beginning May 1st, post your photos on Instagram #HeartofYoungLiving @pocketful_of_treasures . There will be prizes and giveaways throughout the challenge! 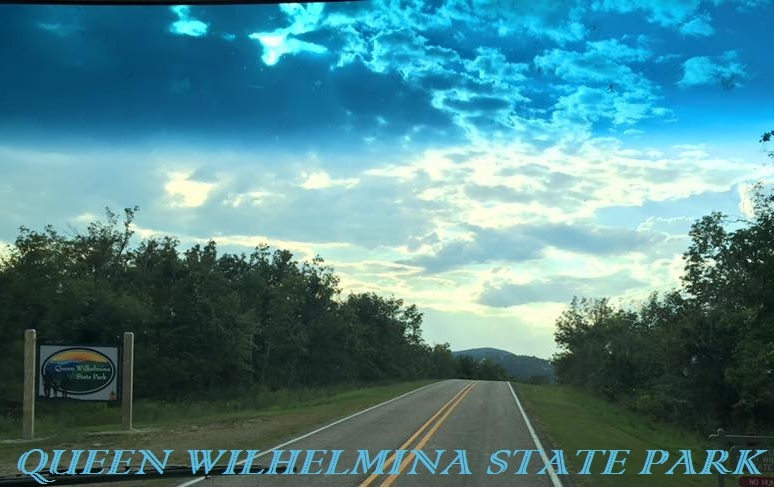 Queen Wilhelmina is a child's paradise and remains one of our favorite Arkansas State Parks. Not only are there gorgeous scenic views all around, but there are endless activities for the whole family. We even had a beautiful view from the RV! See that big field across from our campsite? Perfect for playing ball, throwing a frisbee, or numerous other games and sports. There are even some great trees for climbing! Spring Trail was closed during our stay, but we were able to hike Lovers Leap and the Reservoir Trail. Lovers Leap is a 1.3 mile moderate trail with breathtaking views! The first time we started behind the lodge, and the second time we hiked it in reverse starting in front of the lodge. You capture different views depending on which way you hike the trail, but all of the views are magnificent. The highlight is the overlook on a high rock bluff. Part of the trail has some small boulders to climb and there are a couple of steep climbs. We carried our 5 month and 2 year old. 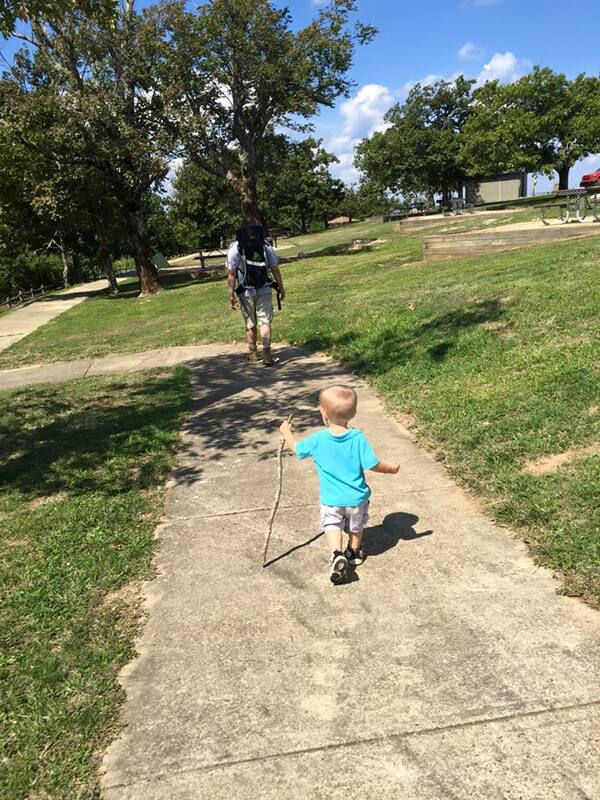 Our 3 year old was able to complete the trail (with a lesson in endurance and doing everything without complaining and grumbling). Our 5 &6 year old had no problems completing the trail. 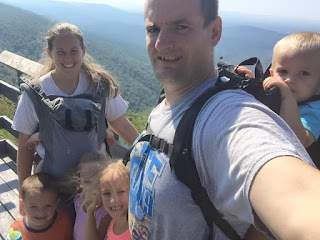 I would highly recommend this hike for families! Bring a snack (or picnic lunch) to take a rest and enjoy God's beauty displayed at the overlook! 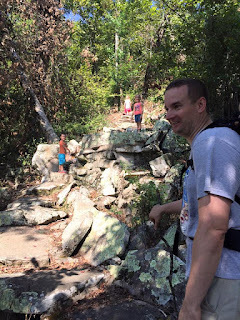 The Reservoir Trail is a 2/3 mile round trip hike down the hill to a stone reservoir. There are no spectacular views of the mountain or valley below, but we saw dozens of beautiful butterflies. When you are done hiking, take a stop in Mountain Glory Station (open Memorial Day thru Labor Day). Enjoy an ice cream cone or sundae to cool off and then board the miniature train for a scenic ride around the mountain. There is also a train engine, which was another big hit with the kids! Tuckered out? Sit on one of the rocking chairs at the newly renovated lodge and enjoy the view! I also recommend that at some point during the stay you check out some of the park programs. We thoroughly enjoyed Sunset Art in the Park and Nature Art. 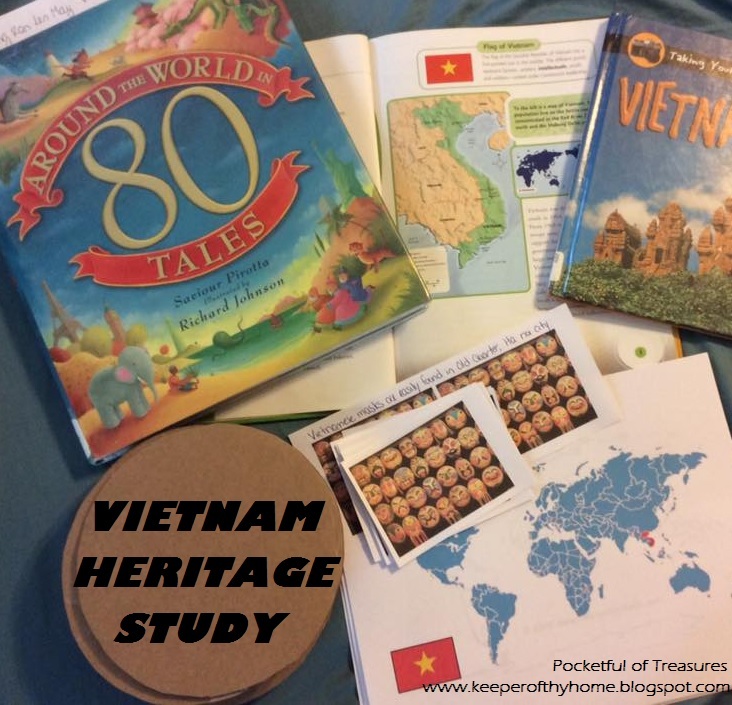 This lesson was designed for a one hour American Heritage Girls lesson on Vietnam as part of the World Heritage badge, but I have included some additional activities and recipes you can use to create a day or week long Unit Study on Vietnam. Vietnam is on the east coast of a peninsula in Asia. It is 127,243 square miles which is about the size of New Mexico. Unlike New Mexico, however, Vietnam is a long, skinny country. It stretches 1,027 miles from north to south and on average about 380 miles east to west, although in some places the land is as narrow as 30 miles! Off the Southern tip of Vietnam is the Gulf of Thailand. 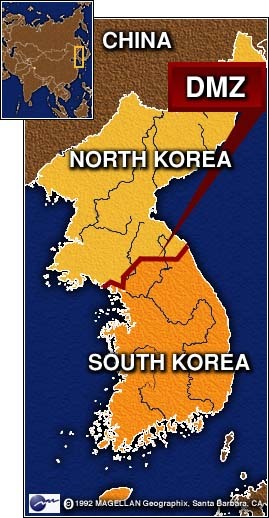 To the east is the South China Sea. Off of the northern coast is The Gulf of Tonkin. 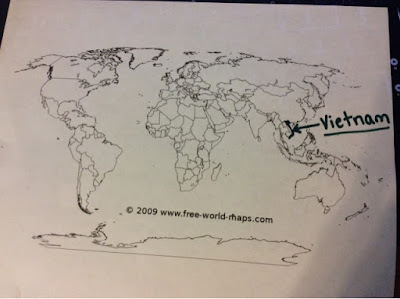 ACTIVITY: On a world map, mark and label the location of Vietnam. Two important rivers, the Mekong and Red River, flow through Vietnam. Their river deltas make up a fourth of the land and yield enormous quantities of rice. In fact, much of the land is flat with good, rich soil for farming. The northern part of Vietnam has some mountains. The tallest peak in Vietnam is called Fen Si Pen at 10,036 feet. Because of the varying latitudes and topography, the weather in Vietnam is diverse. South Vietnam is only 8 degrees North of the Equator so it is approximately 80 to 90 degrees Fahrenheit all year, with a rainy season from May to November and and dry season from February to March. In the winter (November thru March), temperatures over much of Vietnam hover around 60 degrees, but you will find much cooler temperatures in the Northern regions. In addition to the two major rivers, Vietnam has more than 1,800 miles of canals and dikes. What do you think is the main mode of transportation in Vietnam? OPTIONAL ACTIVITY: Make and race a Vietnamese Dragon Boat! Approximately 90 million people live in Vietnam, making it one of the most populated countries. About 87 percent of the population is ethnic Vietnamese and approximately 50 minority groups live in the remote mountain regions. Vietnam has a history of invasions and war, which has greatly influenced their culture. The Chinese occupied the north country for over 1,000 years, shaping Vietnam's pottery, painting, opera, silk weaving, and musical styles. 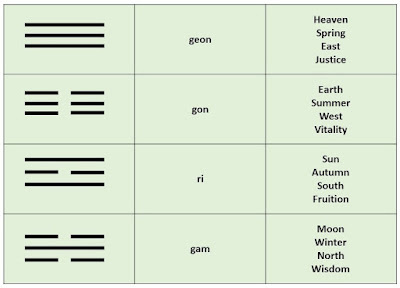 The official language of Vietnam is Vietnamese which uses Chinese characters. ACTIVITY: Can you say some basic Vietnamese words? 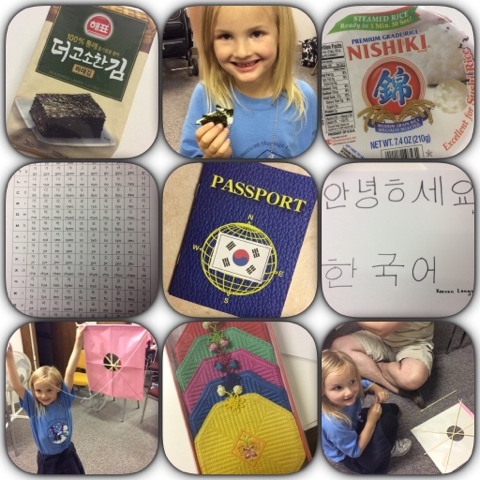 Can you introduce yourself in Veitnamese? 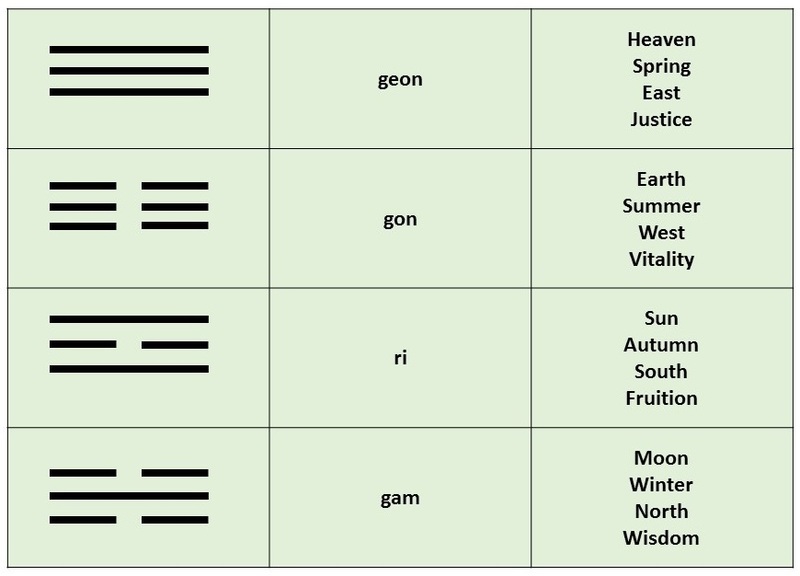 China also influenced the Vietnamese folk religion which is structured by the doctrines of Confucianism and Taoism. There is also a strong tradition of Buddhism. DISCUSSION: How do these religions differ from Christianity? 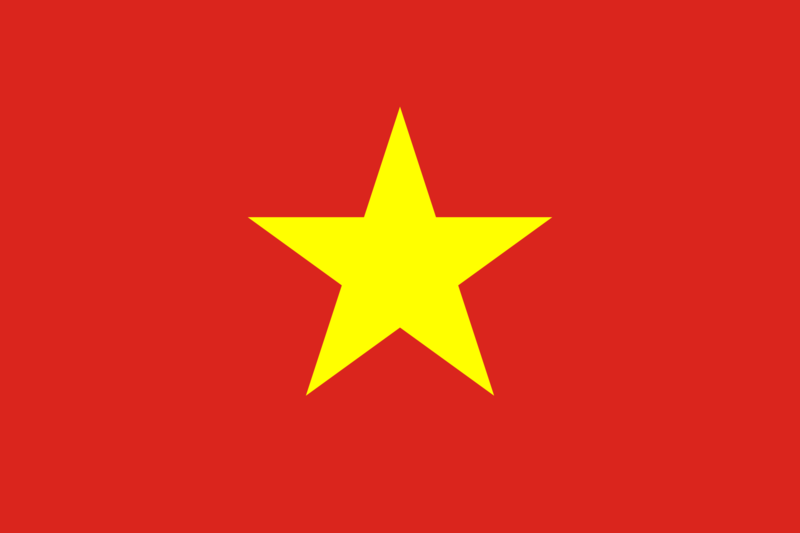 The Vietnam flag has a red background with a 5-pointed golden-yellow. The five points of the star stand for farmers, workers, intellectuals, soldiers, and youth all united under Communist leadership. 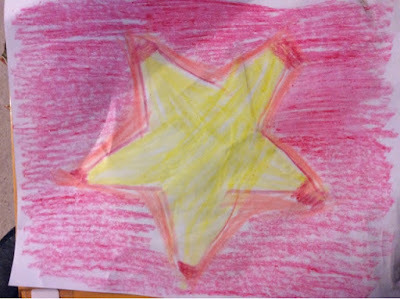 ACTIVITY: Draw (using a stencil of a 5-pointed star if necessary) a Vietnam flag. While coloring the flag discuss the difference between Communist leadership and Democratic leadership. 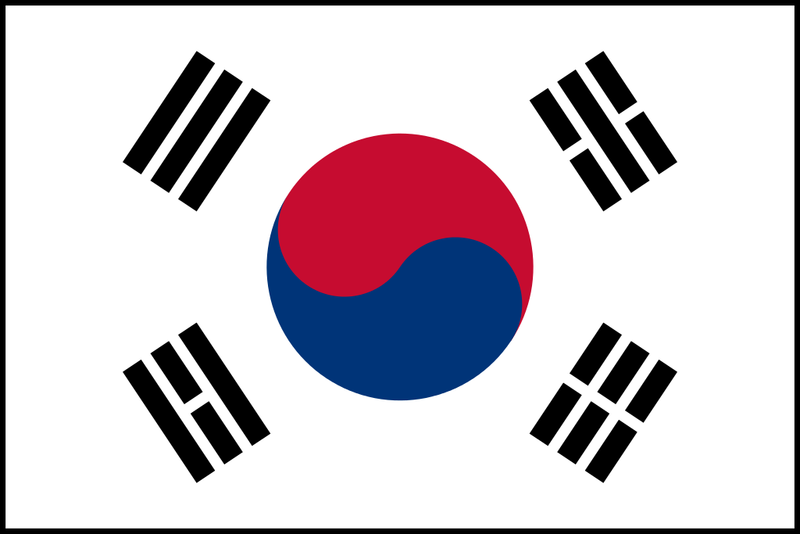 One of the points on the star represent the youth of the country. What are some things youth in our country enjoy doing? Vietnamese children like to tell stories, play games, and have fun just like you do! GAME: Rong Ran Len May is a popular game in Vietnam. The "doctor" reads aloud a folk poem. The rest of the children stand in a line holding onto the hip of the person in front of them. The "doctor" then tries to tag one of the children. He cannot tag the first person in line, so the first person in line should help block the "doctor". Watch the YouTube video for a demonstration of this game. The game is best played with a large group and wide open space. 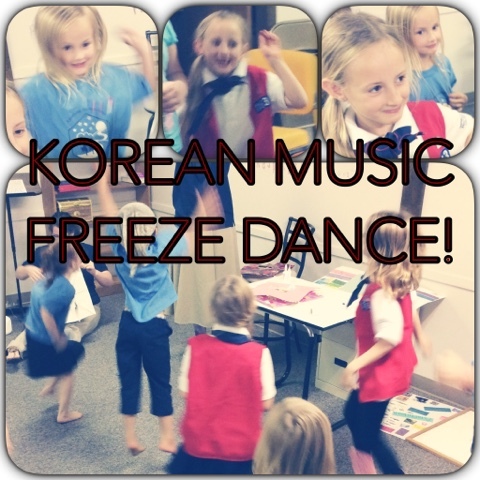 This was something the children really enjoyed. I read "Food for the Emperor" (a story from Vietnam) out of the book Around the World in 80 Tales by Saviour Pirotta. 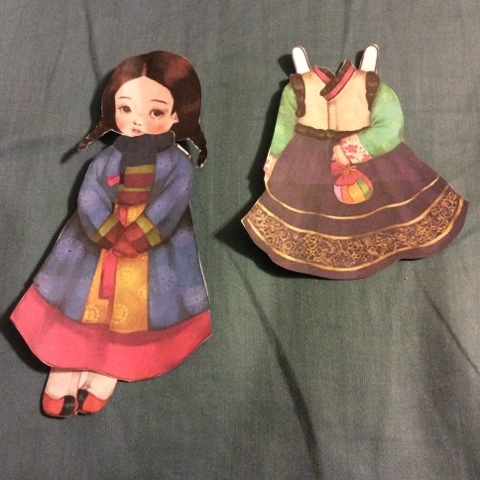 You can find other legends and folk lore on Viet-American Foundation. In North Vietnam, the folk performing art of Vietnamese traditional theater "Cheo". Cheo tells tales of chiefs, heroes, and lovely maidens in a mix of romance, tragedy, and comedy. The characters are the soul of the play. Vietnamese masks, painted on bamboo, reflect the emotions of the characters of Cheo. Vietnamese masks are easily found in Old Quarter, Hanoi city. 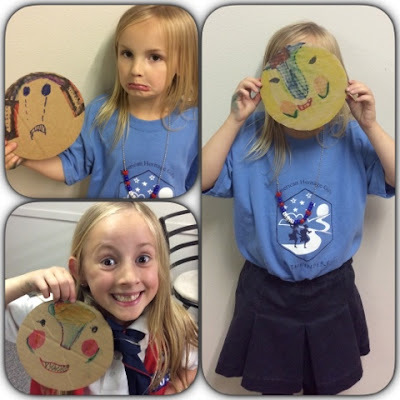 CRAFT: Cut out a cardboard circle and draw a Vietnamese inspired mask that reflects an emotion. 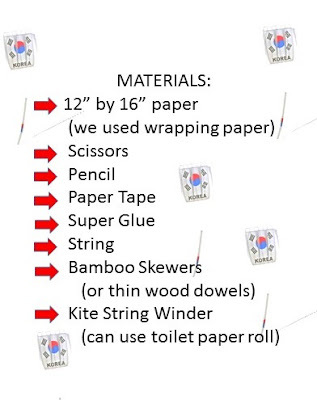 Alternatively, you may paint the back of a bamboo basket to more accurately reflect the Vietnamese masks. Don't forget to celebrate Treemngay (Children's Day) on June 1st. It is a day where children in Vietnam are recognized and celebrated with special trips, gifts, and fun to prove they are loved and cherished! 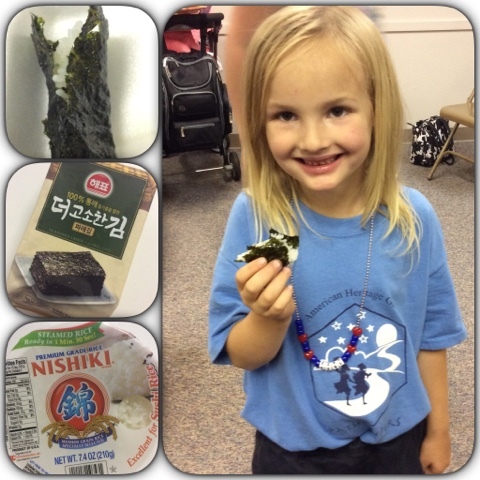 I'd love for you to share your photos with us on Instagram! Tag #pocketfuloftreasures and follow me @pocketful_of_treasures. 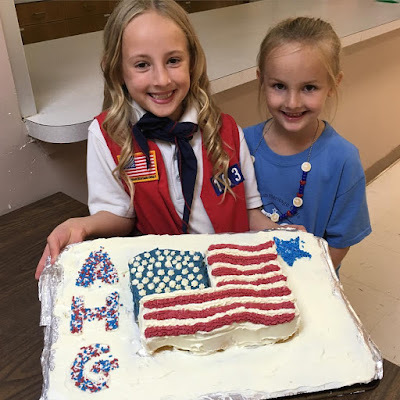 When I asked our daughter what American Heritage Girl badge she wanted to work on first she emphatically exclaimed "Cake Decorating, after all I am a Baker and cake is yummy!" 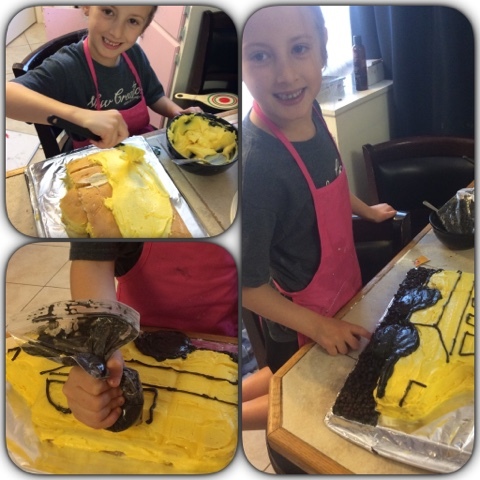 Well I may be a Baker by marriage, but I have zero experience in cake decorating, so we set off learning together. 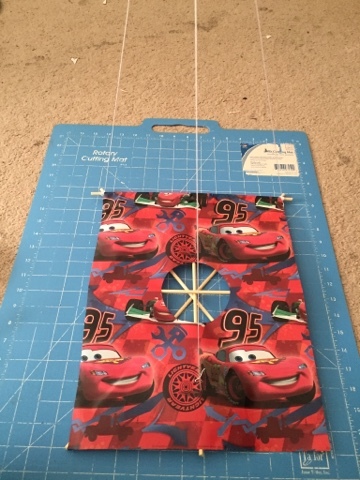 My brother and sister in-law had just received four foster children and one of them was about to have his 3rd birthday. 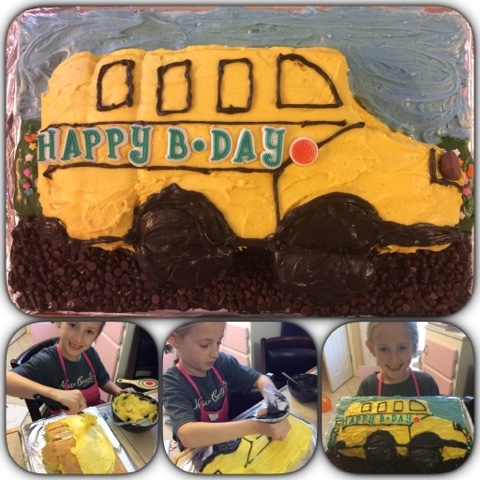 The little boy just loved buses, so we thought how awesome would it be if his foster cousin made him a bus cake for his birthday. 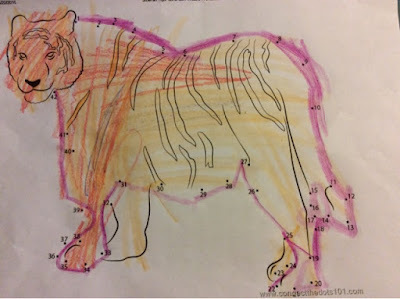 So my daughter and I started searching the Internet (thank you fellow bloggers and Pinterest!) for inspiration. How cool are these cakes?!? Click on the pictures to bring you to the original posts. Once we decided on a general theme and design, we headed to the store. We kept things pretty simple for our first cake. I'll share some other cakes we made in a bed that we used special decorating tips, but for this first cake we just loaded the icing into a ziploc bag and cup a small hole in the corner of the bag. We also used a boxed cake mix. We made our own icing for this first cake to try to avoid some of the preservatives in canned icing, but we did learn on our second cake that icing needs to be just right otherwise it does not work well with some decorating tips (especially the star) so we have used canned icing for our others cakes. We bought several different kinds of food coloring and gel. It's nice to have a variety and some extra icing for Step 3! If you have extra supplies, scoop about 1/4 cup of icing into several different bowls. Experiment with the different food coloring dyes and gels. 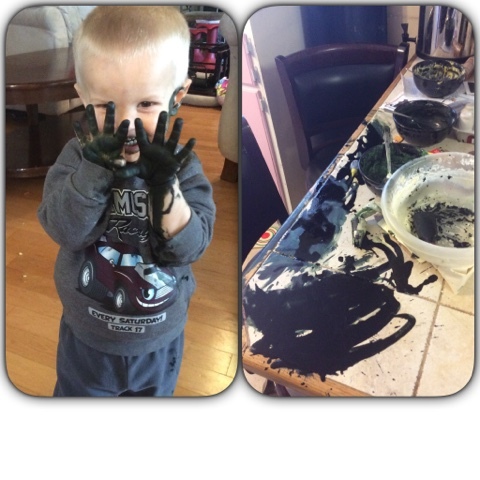 We found that it is much easier to make black icing if you start with chocolate icing. 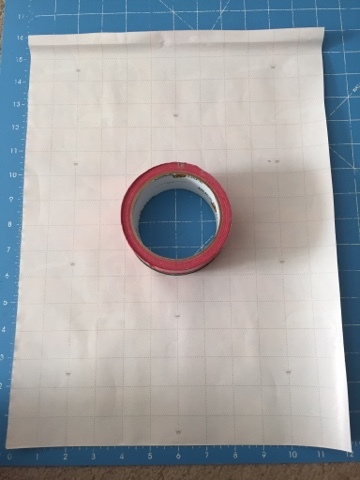 Once you are satisfied with your colors, fill a pastry bag or ziploc bag and practice making straight, curved, zigzagged lines, and writing the alphabet on parchment paper. If you do not have extra icing, you can always practice a bit and then scrape the icing back into your pastry bag. TIP: If you put your pastry or plastic bag into a mug and fold the top of it down over the mug, it will be much easier to spoon your icing into the bag. 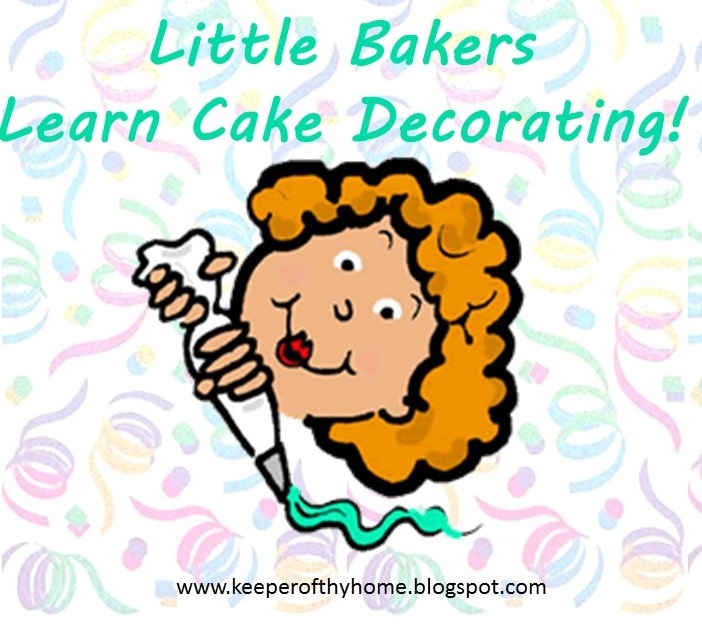 *How do different color icing's taste? Some coloring may make your icing taste bitter. We were very pleased with the taste and texture of the Wilton food coloring gel. *How does changing the degree that you hold the pastry bag affect your design? When making writing and lines it is best to hold the bag at approximately 45 degree angle to the right. 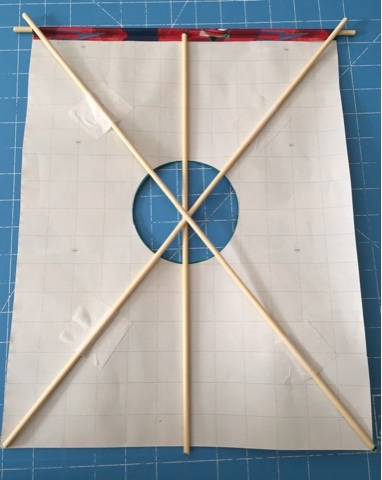 When making stars or dots you want to hold the pastry bag at a 90 degree angle (or perpendicular) to the cake. 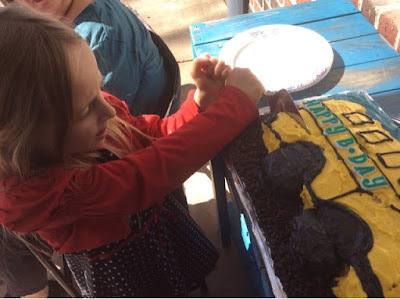 Holding it straight up and down when making lines or too far off of the cake was a common mistake she made in the beginning. 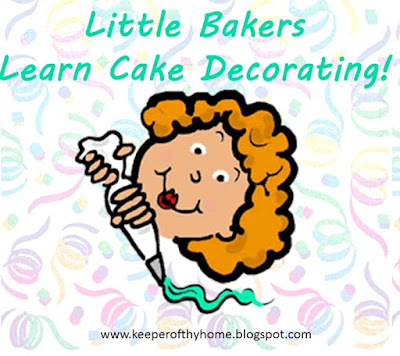 *What happens if you smooth the icing out with a finger wet with warm water? 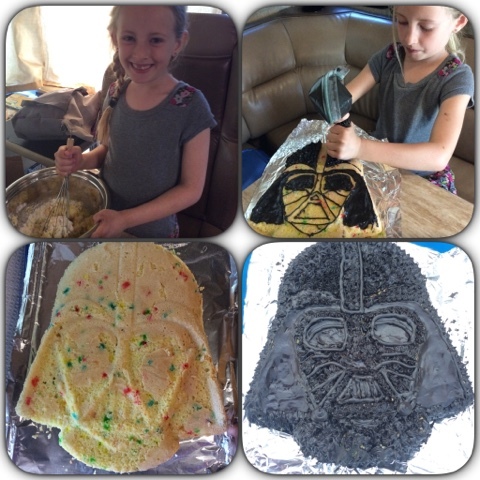 This was a really fun technique she used on her Darth Vader cake! Bake your cake according to the directions on the box, or follow the recipe if baking by scratch. If you are looking for a gluten free cake mix, I can say that the Pillsbury Confetti Cake Mix is very good! Be sure to allow your cake to cool completely before icing. This can take several hours, so plan accordingly. Be creative and open to using other food items to decorate with. PATIENCE, PATIENCE, PATIENCE!!!! Remember, it is not a race to see how fast you can decorate the cake. It took us several hours to do our first cake. 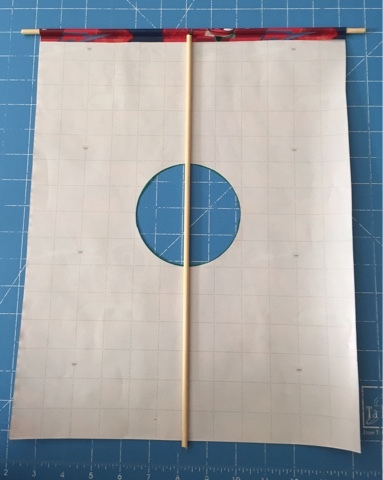 I used an index card and toothpick to mark in the icing some of the straight lines to make it easier to follow. Since we had some extra icing we decided it would also be fun to decorate the aluminum foil. We used mini chocolate chips to be the gravel road. Our daughter came up with the idea of using a Hershey kiss for the light on the bus. 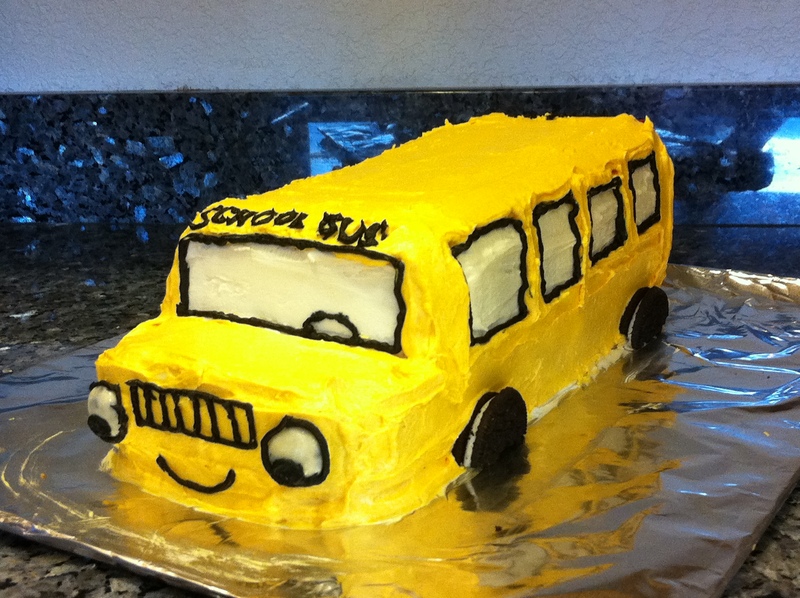 We could not find small enough gluten free donuts, so we used some of the cake we had cut away to make the hood of the bus to make the wheels. Have fun and use your imagination! And remember, it's ok to make mistakes. Some mistakes are easily fixed; others lead for opportunities to be a bit creative. We finished the cake and I breathed a huge sigh of relief that our littles ones managed to play so well while I helped our daughter with her project. BUT I let my guard down for just a minute to go to the bathroom before cleaning up. I won't be making that mistake again!!! Step 7: Eat and enjoy the fruit of your labors!!! Of course, cake is always best shared with friends and family, so if you do not have a reason to celebrate, find one! Step 8: Review and Repeat! What lessons were learned? What would you like to try next? 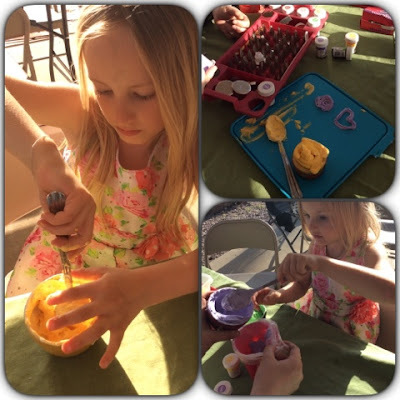 My sister-in-law held a cupcake decorating workshop on Easter for her nieces. 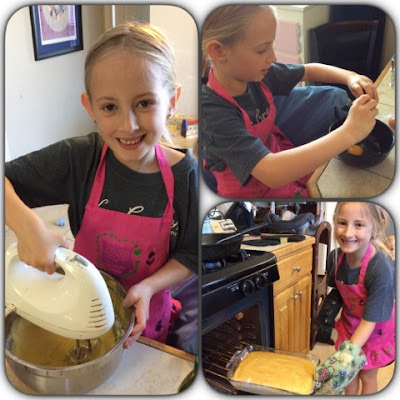 My daughter really enjoyed using the star tip and wanted to try to decorate a cake using it. 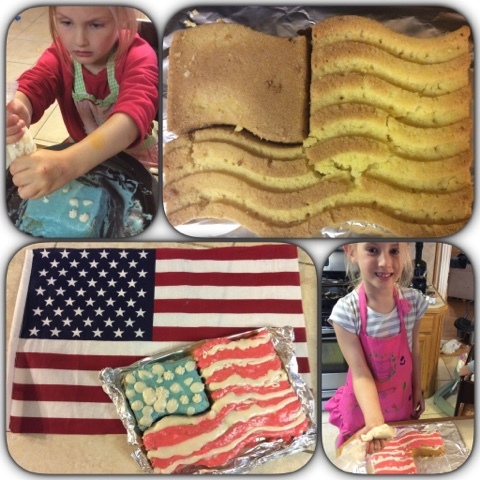 We attempting to make a flag cake using the star tip, but our icing was too runny. So, we tried again using canned icing and had much better results! 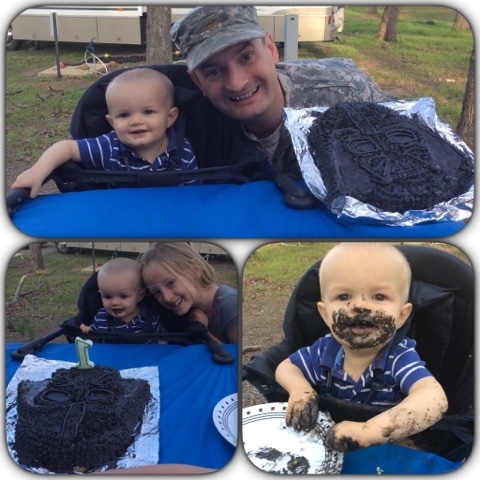 Next project: Make a Darth Vader cake for our son Luke's 1st birthday (my husband is always saying, "Luke, I am your Father", so we thought it would be a fun theme!). Our daughter is already looking at ideas for making a train cake for her other brother. 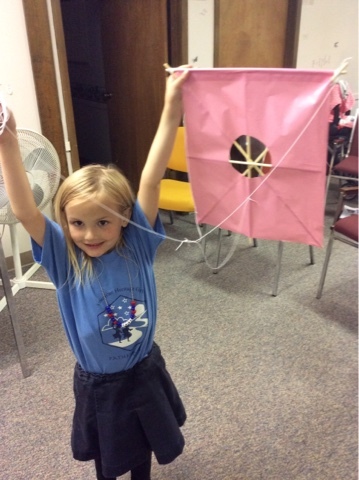 I'd love for you to share with us some links to posts or photos your child has made! Have fun making memories together!